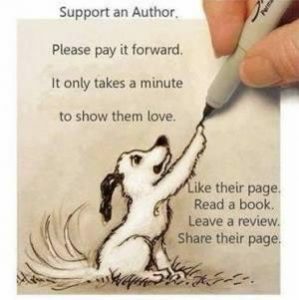 A Few Ideas for Submissions: Found a fan or a person touched by your writing? Had a rejection when a company changed owners? Had a story snapped up by two publishers at the same time? Had a story that was published twice rejected by a contest that accepted reprints? We want to hear about your unexpected adventures in the writing world. We want to share your stories about your publishing journey and your writing life here. Write to entertain, to enlighten, and to advise (but not preach). Write to share your gratitude, amazement, and disbelief. Share the good, the bad, and the silly, but don’t share them all in one submission. Write your piece like a blog post or a short-short story. No epics. Also no fiction here. These are real-life stories ranging from 250 to 750 words. Less is more. Make your point clearly and move on. Who knows what your experience might inspire? New submissions will be added quarterly. Your $6.00 submission fee covers our time, possible editing, and the decision-making process. You get a credit for your resume plus a brief bio and the satisfaction of sharing your experience. Also, if we publish your piece, your submission fee will be doubled and returned. How do we define the concept of a ‘real’ writer? Does such a concept even exist today? 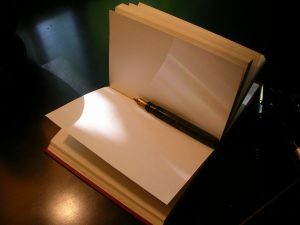 As more and more people become writers through the vast array of mediums and publishing avenues now available to us, it seems that there are still a few who seek to hold onto archaic notions of what constitutes a writer. Rightly or wrongly, a hierarchy still permeates the industry. As someone who has written digital content and dabbled in online fiction writing competitions purely because I enjoy it, I haven’t paid much attention to what the meaning or definition of being a writer means for me. I have a few highly supportive friends and a partner who champion the title on my behalf, but I’ve never felt compelled to use it as part of my immediate identity. Like many in my position, imposter syndrome has been the overruling reaction when someone refers to me as a writer. That is until I was invited for a drink with an acquaintance. This person happened to be a published writer, by which I mean she had a physical book in existence and available in all good independent bookstores. She is nice enough but errs on the side of competition. Where she is gunning for books on shelves, I am happy with occasionally funnelling some words out into the ether of the internet. I felt my cheeks bloom with blood and an entitled rage began to boil in my guts. Who did she think she was to judge? My anger settled when I realised what the reaction indicated. While I thought I was no writer, it turned out having someone else remove the title from my arsenal was deeply upsetting. The title meant more to me than I was prepared to admit. Since that meeting, I’ve ensured to make full use of dropping the word writerin whenever asked to describe my identity or profession. I claim it proudly. I encourage anyone else who is writing and shirking the title to do the same. The more we break down the overarching hierarchy, which seemingly still only aids those of a prescribed socio-economic status, the more we can all share in the joy writing brings without feeling like imposters. I wish I could thank the acquaintance for the overdue epiphany, but seemingly I haven’t been able to make time for another catch-up. I’ve been too busy being a ‘real’ writer. Do what you love may be the most overused advice in the career-improvement world. A blogpost on the complexity of this directive went viral on Jacobin a year or so back, it was shared fifty-seven thousand times on Facebook and riffed about in the New York Times Opinionator by Gordon Marino. I know all this first hand. Once upon a time I turned my back on a half-finished MBA and a corporate job with its maddening pace and rigid hierarchy. I escaped to do what I loved. In my case the passion was writing. The act of quitting made me subversive. And that alone fueled creative expression. I mapped out chapters, the content. Figured I’d have the manuscript written in six months, employ an editor, find an agent, become a best seller, Oprah would call, the whole bit. Four years later, I found myself gazing into my monitor not knowing whether to put a period at the end of the sentence or keep going with a comma. I’d lost my home in foreclosure, gone bankrupt, written 300,000 words, revised the body of work four times. And while I was slurping away at my eighty-seventh Cosmo, I understood what I was really missing. A mentor. Someone who’d gone before, knew how to shape art into something saleable and would come along with a tribe of like-minded people with whom I could collaborate. I needed someone to touch what the poet Mary Oliver called the “wild silky” part of myself and, finally, make it palatable to the world. Mentors are necessary. Hemingway had Stein, Beethoven had Neefe. The true challenge is finding a mentor who can make your passion work in the world. But there are thousands of coaches out there: some are competent, some are lousy, some are soul crushers. Go with the gut: have a bad feeling even though her website seems like a projection of everything lying dormant in your heart? That’s your intuit talking. Run. There are too many fantastic coaches out there who have integrity and know how to move you forward. She’s part of your tribe: if you see her write a post in a publication you love or show up in a group on social media with whom you share a vibe, chances are you have similar taste, so you might want to take a shot at it. I found my coach through my Reiki teacher. My coach had helped a fellow Reiki student get an agent and a book deal. She’s now distributed with Random House, has been on NPR, has speaking engagements, the whole nine yards. She has street cred and success: when I went on my coach’s website, she had testimonials from people who had published books, made a career out of writing, and had gotten bylines with top media outlets. She was also successful in her own right. An internationally-acclaimed author with lots of kudos to her name, she’s made her living writing, which is what I wanted to do and so I knew she could trailblaze a path. She understands you: the secret to my coach’s success is that she works in the Gateless method, a very specific method based on brain science, craft tools and community that moves creatives to places they’d only imagined. Through this method, she helps all of you rather than just the part of you working on your craft. That divorce you haven’t quite gotten over? Could be a barrier to next step on your career path. Make sure your coach isn’t just about deliverables, numbers, list building, ideal clients and great gallery gigs. It doesn’t happen overnight: Anyone who promises you the world in thirty days isn’t helping you make lasting change. It took most of us years to get here. Something magical did happen with my coach and while it felt like it happened overnight, it’s too deep and long lasting for that. Now I feel seasoned at this writing thing. Since working with my coach I’ve been shortlisted for prizes, published in the top online media outlets and have been picked up by lit journals, but more than that? I understand that often those who fail at doing what they loved just didn’t have the guidance they needed to learn how to soar. What will you do today to obtain the guidance you need to succeed? They killed me. With a single move as slick as the pages of the magazine itself, they knocked me off. The magazine had actually solicited the story from me, then at the eleventh hour, turned around and killed it. “It doesn’t fit,” is what they said. What does that mean? It didn’t fit in with rest of the issue? It literally didn’t fit into the issue length-wise? I’d had plenty of rejections before, but this was my first kill, and it made me feel different. Usually, when I get rejections, I can brush them off and relegate them to the notion of “increasing my odds of acceptance.” But to spend four months on travel and research and countless hours writing and rewriting, and then be terminated at the last second… that made me feel betrayed. After all, when I answered their call to write the article, they were excited to have me write. They liked my style and my other work, and told me that I was “spot on” as I checked in with them through the writing process. Spot on and knocked off. It was as though I was baited in and made to stand on a pedestal with a bulls-eye right behind it. How could they do that to me? Was I being lied to the whole time? When I submitted my final draft to them at deadline time, I waited for a bit, then inquired what their thoughts were, as I hadn’t heard back from them. Did it need editing, I wondered? Hesitantly, the editor relayed the news that it was not going to be included. I didn’t know what ‘article kill’ was at the time, but I quickly learned the term for what had happened. Evidently it happens often enough. It’s just another kind of rejection, but with the losses so much higher, because of the investment made. That’s why it hurt more. You are drawn in close and establish a mutual level of trust, then WHAM. Left whirling from the spin of events, confusion sets in and you don’t know what to do. As with any death, there is a grieving period. Disbelief was the first phase of my grief. “How could this happen?” “I can’t survive this” was the second thought I had. I thought it was the ruination of me. Belief in myself took a dive. “I worked so hard and it didn’t matter.” Could I write anything worthwhile again? It became important to seek out sources of support. 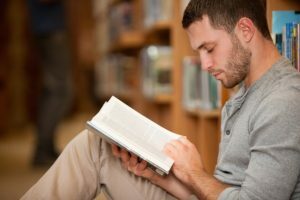 So I found inspirational quotes and books about writing. 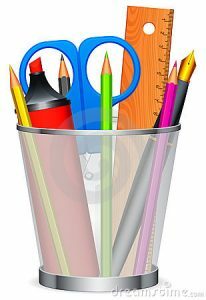 I researched writing classes, retreats, workshops, and conferences. This was nothing new to me, but at this point it was being done with the intent of survival. Eventually the muse came back. And with its physical presence in posters and various writers’ talismans placed about my writing place, I felt that it could protect me. After the shock of the assault wore off and I strengthened my resolve, I submitted the piece to other publications. I submitted it again and again. Maybe my desire for vindication drove me. It took four years, but I finally got the story published in another venue. The only down side was that the story ended up being a little dated. Still, I feel that I have triumphed over a bad tumble, and it has reinvigorated my confidence. Here is my afterthought of the killing experience: I just would have liked to have known more detail about the decision to kill. Was it because of space or style? And why wait until the last minute? Should I ever consider submitting to this publication again? Knowing these answers could help me better prepare for a reoccurrence in my writing career. In any case, I’ve developed a bit of mental armor for facing the possibility of this type of rejection again. The killing of an assignment does not equal death of the writer. Yes, the experience cut off a piece of me, but they cannot kill me or my dream. Go ahead and put me down, but I will fly again. My dream will live on, because it is part of my spirit. Clara Klein writes about life as she sees it, and as it’s happened to her. She dallies in poetry, prose, essays, and prayers. She write to purge negative feelings and experiences, but also to inspire with the positive ones. Writing for almost 30 years, she likes to cover eclectic themes. 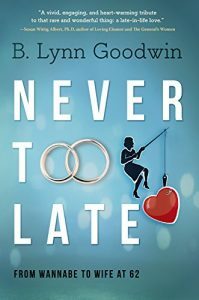 Never Too Late: From Wannabe to Wife at 62 was launched on December 20th 2017. I’m grateful for help from my publisher and editor as well as my husband’s allowing me to write my truths about him. Every author does not have that luxury, I know. My acquisitions editor at Koehler knew me from a Flash Fiction or Flash Memoir Contest in 2015. She recognized my name which helped, but she also knew this was a story she’d never seen before, and that’s what she told John Koehler when she encouraged him to offer a contract. I still glow from that comment. So many people were afraid to try to market it. I admit that’s been difficult, but I keep persevering. My husband would say, “You don’t lose until you quit trying. “This was a good book for me to read right now. I’m single and just reading this gave me peace about my own journey in the romantic department.” –Nicole P.
I love these insights. If I hadn’t kept looking, I would not have found the right publisher. The journey is not over, and I am grateful for that as well. Never Too Late: From Wannabe to Wife can be ordered through your nearest indie bookstores. You can also purchase it online at Amazon, Barnes & Noble, and probably at some places I don’t know about it. If you read it, I’d love to hear your reaction.